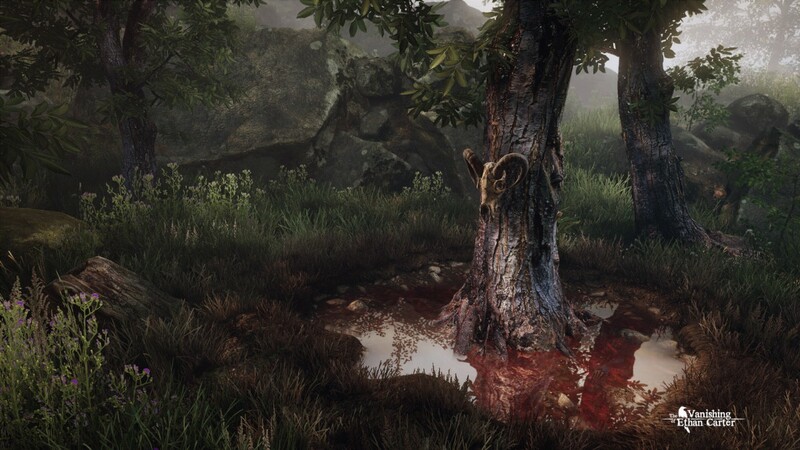 The Vanishing Of Ethan Carter | REVIEW - Use a Potion! 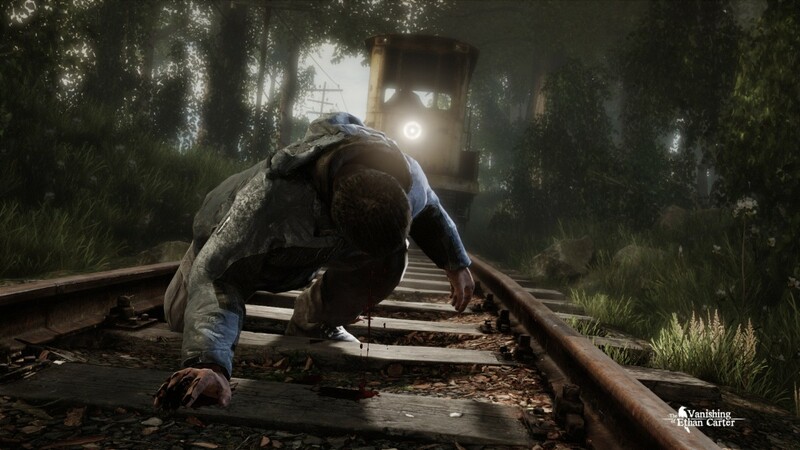 Nearly a year on following its release on PCs last October, Polish game developers The Astronauts have brought their paranormal narrative focused game The Vanishing Of Ethan Carter over to the Playstation 4. It doesn’t come with any new console specific features – you’ll be using a controller instead of a mouse but that’s the only difference. 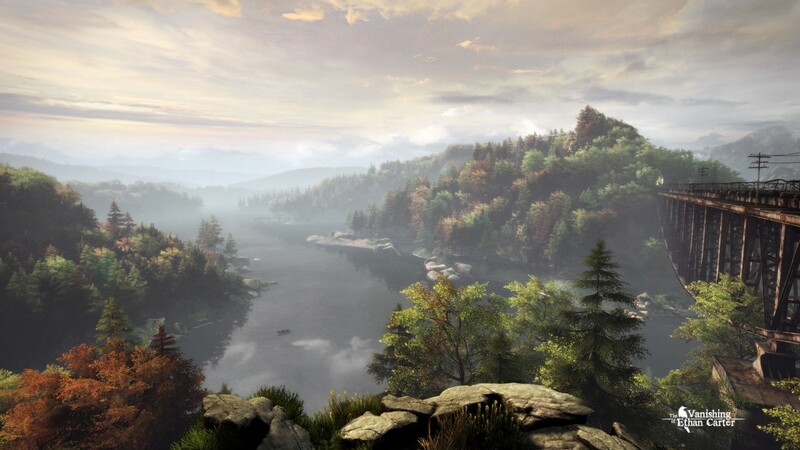 Fortunately The Vanishing Of Ethan Carter doesn’t need any shiny new features; it stands out as a great game in its own right. The Vanishing Of Ethan Carter has you taking on the role of paranormal detective Paul Prospero who receives a letter from twelve year old fan Ethan Carter asking for his help. Paul heads to Ethan’s home in Red Creek Valley and that’s when he begins to discover that something just isn’t quite right in the mysterious place. The first thing you see when starting the game is a message stating “This game is a narrative experience that does not hold your hand.” That certainly is the case, with the game starting you off with no tutorial on any controls or introduction to the gameplay mechanics. You are dropped in the deep end and it’s very effective from the get go, the game instantly starting with one of its puzzles. Fortunately it’s one of the easier conundrums you’ll come across in the game, although it’s not too long until some real head-scratchers get introduced. The game describes itself as a narrative experience so you expect plenty of story details – it manages to deliver on this, although there is a sense of ambiguity from start to finish. Story details are revealed through flashbacks to events that had transpired before Paul’s arrival. These are mostly unlocked through completing the puzzles in the game, although you do come across story details through some hidden collectibles throughout Red Creek Valley. It feels an injustice to the game to go into too many of the story details here – the narrative keeps you hooked from start to finish, constantly wondering what happens next with plot twists aplenty. Despite the dark tones of the overall story you also come across some of Ethan’s stories that he has wrote himself, scattered throughout the area for you to find and read. Although they also have a slightly dark tone to them they still represent the clever imagination of a twelve year old boy and are somewhat charming to read. The finale, which can be reached in roughly three hours, is certainly an unexpected spectacle with everything coming together to reveal the truth with what is going on with Ethan Carter and his family. There is no combat in the game so the core of the game is spent solving many cryptic puzzles; these are a real treat to solve. The puzzles come in a few varieties although the main puzzle type involves piecing together grizzly crime scenes, discovering little pieces of evidence along the way and then finally working out a timeline of how the macabre event unfolded. It’s enjoyable but doesn’t offer much of a challenge, the most difficult part actually being just finding each piece of the puzzle hidden in the scenery. There are a few other varieties of puzzles though which are enjoyable to solve – be it the mysterious house with the constantly changing rooms or the maze like mines where you’re being hunted by a grotesque figure. My personal favourite puzzle is one that I can only assume is a nod to the development studio itself – I won’t go into details but you’ll know it if you play the game. All the puzzles are well constructed and the aesthetics are fantastic, each one followed by a cutscene revealing more of the background to each of the gruesome murders that have happened to Ethan’s family members and how it relates to him. It would have been nice to have had a few extra varieties of puzzle though. The game offers you the freedom to fully explore the area and tackle the puzzles in any order that you please – again, showing that there is no hand holding in the game. Whilst the freedom is appreciated, the wide expansive area meant that sometimes it was difficult to know exactly where a puzzle may be. It would be easy to miss a puzzle in the game and with no map or anything to keep track of your progress you could spend a long time exploring for any missing puzzles – especially since the games expects you to have completed them all in order to finish the story. It’s a minor issue, and I was fortunate that I wasn’t left exploring around too much for missing puzzles. Still, a lot of time could be wasted just trying to find out where a puzzle might be. Thankfully you don’t resent exploring the area that much as it’s simply beautiful to look at. 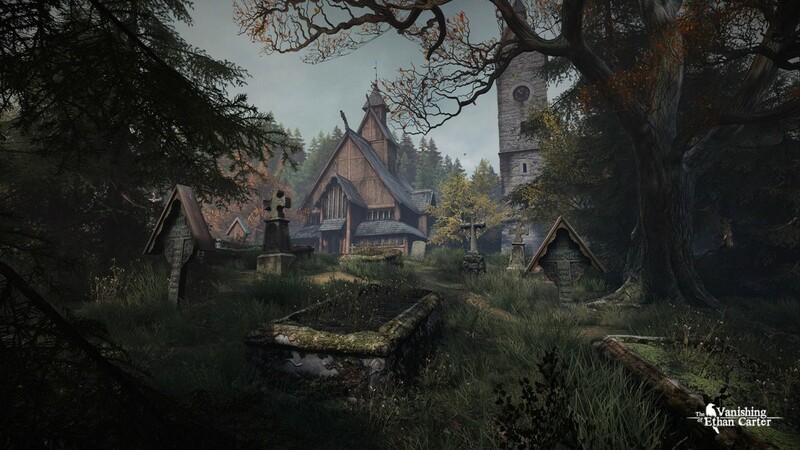 Graphically The Vanishing Of Ethan Carter is awe inspiring. From the forestry, the abandoned train lines, a host of buildings, a river dam and down mines – everything looks spectacular from start to finish. From the sun light blasting through trees, showing off the flora and autumn foliage of Red Creek Valley to the views looking over the derelict bridge towards the stupendous lake as the sun shines down on it – The Astronauts have done a good job in making sure that The Vanishing Of Ethan Carter looks amazing from start to finish. You don’t come across many characters in the game, but the ones you do are fluidly animated and modelled well. They don’t quite reach the graphical heights of the environment, but they do their job at sustaining the high graphical quality in the game. The music throughout the game is subtle but sets the tone perfectly, ominous tunes playing in the background as your solving the many mysteries. The tone changes depending how far through the puzzle you are or depending on the situation you are in. It’s certainly effective, although nothing ever really stands out. The compositions certainly fit in well with the eerie vibe of the game though.Voice acting is also well performed, each actor getting into their role perfectly and showing the mixed emotions of the troubled Carter family. The Vanishing Of Ethan Carter was a unique experience. There are so many horror themed games that focus on narrative and exploration, but it still felt that little more unique and special here. There are the beautiful surroundings to get absorbed into, the ominous tunes or solving the trivial puzzles and discovering more about the grisly fates of the Carter family. Most of all though, the narrative really shines – there’s a sense of mystery that keeps you hooked from start to finish, but the game also delves into the innocent yet imaginative mind of a twelve year old boy. The little stories that Ethan has written and how they all tie into the overall plot are well constructed and add that extra dimension to the game. I’ve not played something quite like The Vanishing Of Ethan Carter and The Astronauts should be commended for putting such a great game out there.